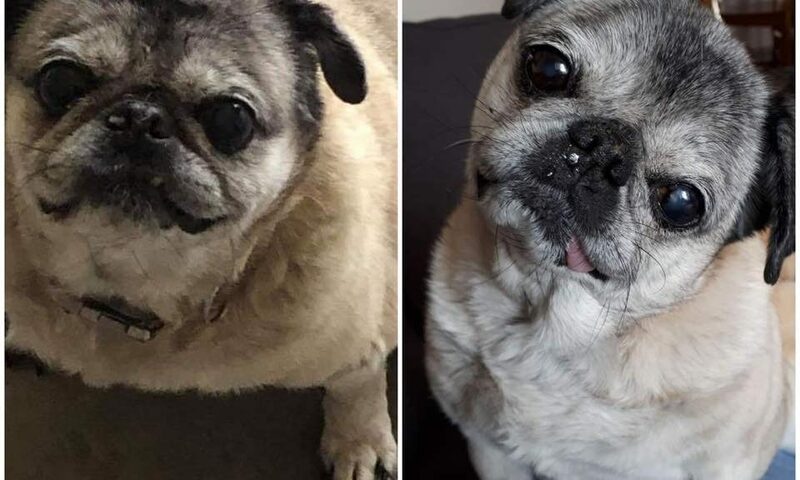 Update on Miss Pugs. On Admission she was very overweight and her mobility was limited. She struggled to get up and down stairs. We found her an amazing home where we knew they would work with her weight and give her the love and attention she needed. We just received this update! She has lost the needed weight and is so happy with her new family!